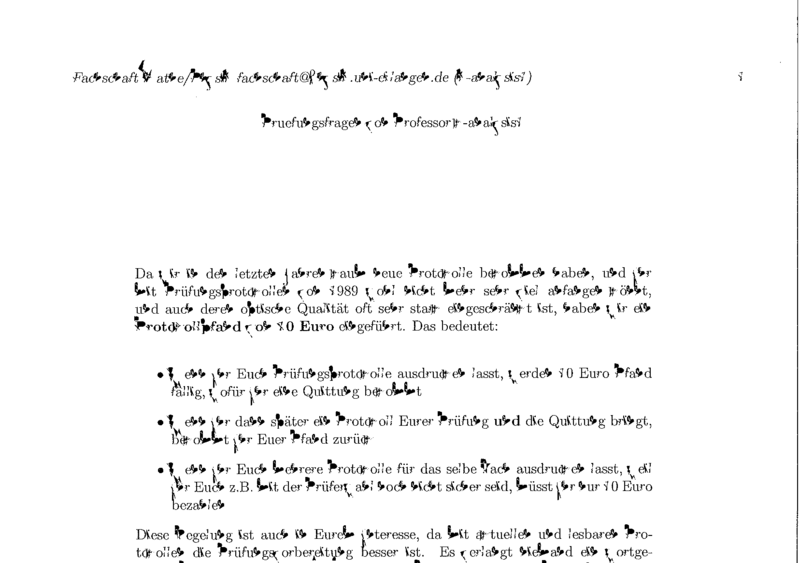 As you can see, the printer is possessed :). Despite that, everything works fine on 12.04 and older versions. The drivers (Brother HL-5350 DN Br-Script3) are the same for 12.04 and 12.10/13.04. I was hitting this exact same issue today when trying to print PDFs. I was also using the Br-Script3 driver but switched to the Brother MFC9840CDW Foomatic/Postscript driver. I would rather use the (correct) former driver, but it appears to be an issue that has not been resolved and this is an adequate workaround for my purposes. For us, on Ubuntu 12.10 it wouldn't print anything (not even test page) and would blink red/orange the bottom 4 lights when we tried to print. We resolved it by switching drivers to a generic driver (the linux ones listed on Brother's website 1 did NOT appear to work, maybe I messed up the install) and even double-side printing works now! Ubuntu seems to recognize the printer and automatically add using the Br-Script3 driver. 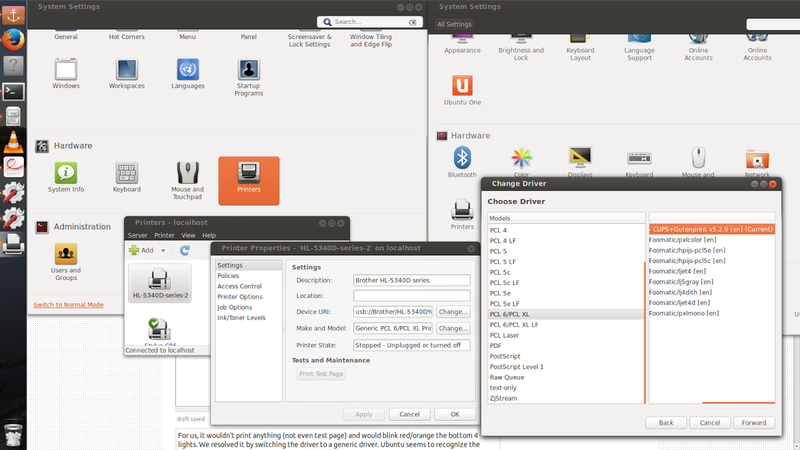 To change it, since I have cinnamon, I went into cinnamon-settings (gnome-control-center does NOT appear to let you change the driver associated with an automatically recognized printer), Printers> HL-5340D > right click, Printer Properties > Settings, Make and Model, Change ... > Select Printer from Database, Generic, Forward > PCL 6/PCL SL > Generic PCL 6/PCL XL Printer -CUPS+Gutenprint v5.2.9. I have included a screenshot of the appropriate settings. Cinnamon Settings is what you want, on the left/bottom. Gnome-control-center on the right does not work. Actually I don't have enough reputation so instead it is linked 2. Edit: my friend got it to work without cinnamon by going to localhost:631 and then roughly do the same procedure (select the printer, Administration - Modify Printer, ...). Not the answer you're looking for? Browse other questions tagged printing brother or ask your own question. How to troubleshot a printer failure?